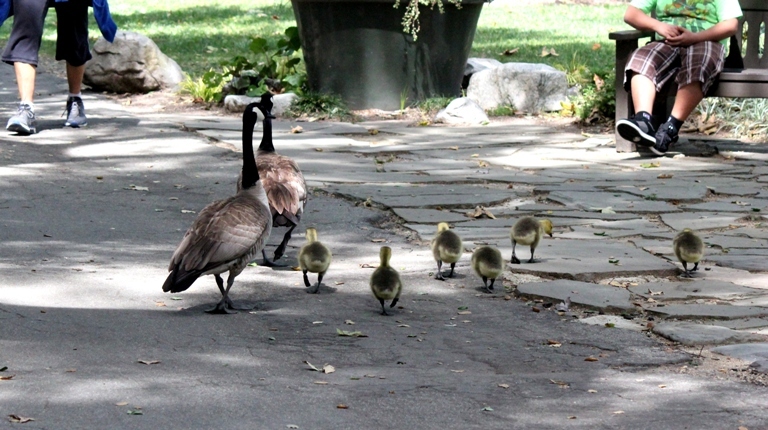 This entry was posted in Photography, Weekly Photo Challenge and tagged birds, Canada geese, Descanso Gardens, goslings, nature, photo of the week 2015, photography, weekly photo challenge, weekly photo challenge 2015. Bookmark the permalink. Very nice responses to this photo challenge! 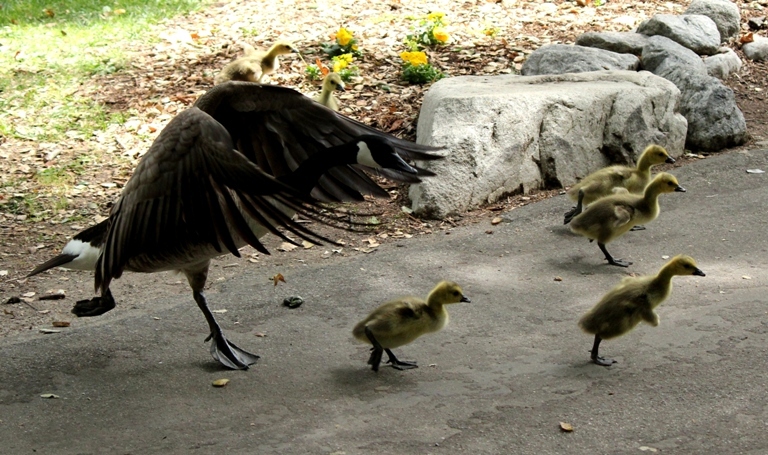 Goslings. 🙂 But make way, yes! I love the way you caught the mother hurrying the children along. Feet only so as not to freak folks out.